One Piece Vintage Genuine Leather Casual Belt Made in USA. 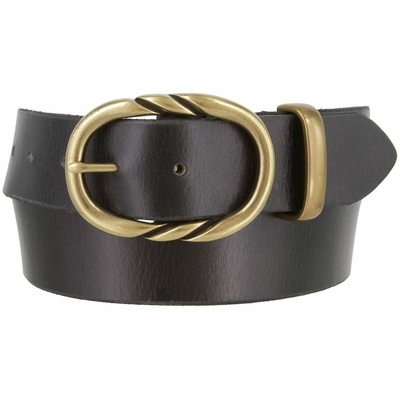 1-1/2" = 38mm wide Vintage Style Genuine Leather. Stitched Old English Brass Oval Center Bar Buckle and a Matching Keeper. 7 Adjustment Holes for Comfort.